Born in Birmingham, Alabama, Jamie is a Southern girl at heart, but feels at home in places like New York, London, and Paris. "I am fascinated with other people and cultures. Reading about it is wonderful, but experiencing it is irreplaceable," she says. Jamie developed a love for antiques during her travels and while working for Barbara Ashford and Judy Hill in their nationally recognized store, Ashford Hill for Henhouse Antiques, located in Birmingham, Alabama. When she and her husband moved to New York, Jamie found herself perusing the vintage clothing and antique furniture shops in Soho on her lunch breaks. With the help and guidance of Barbara and Judy, Jamie started The Hill Collection when she and her husband moved back to Birmingham. Besides her love of jewelry, Jamie's other passions are Faith, family, community, and all things cooking and food-related! 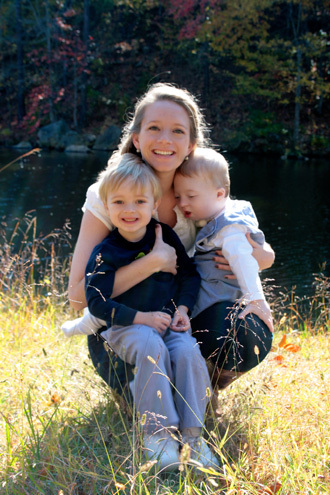 Jamie resides in Birmingham, Alabama with her husband, Trey, and their three children. Last but certainly not least is their 12 year old fur-baby, Ruthie.